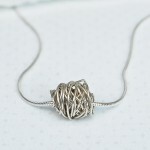 A simple and striking handmade sterling silver wire wrapped necklace stung on an elegant sterling silver snake chain. 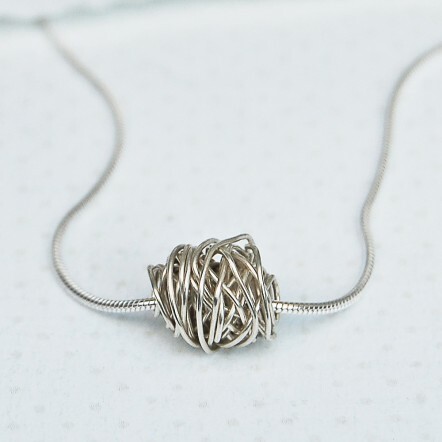 The sterling silver snake chain is available in a number of different lengths to suit all individuals and different versions of this necklace with Rose Gold and Yellow Gold Entwined Beads are also available. 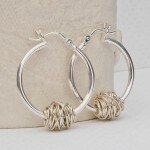 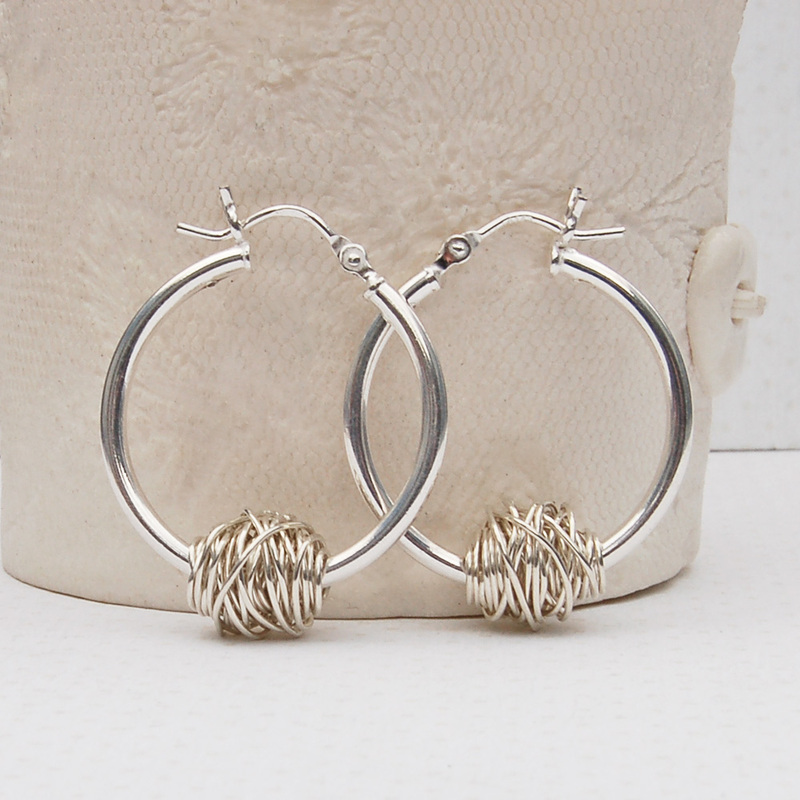 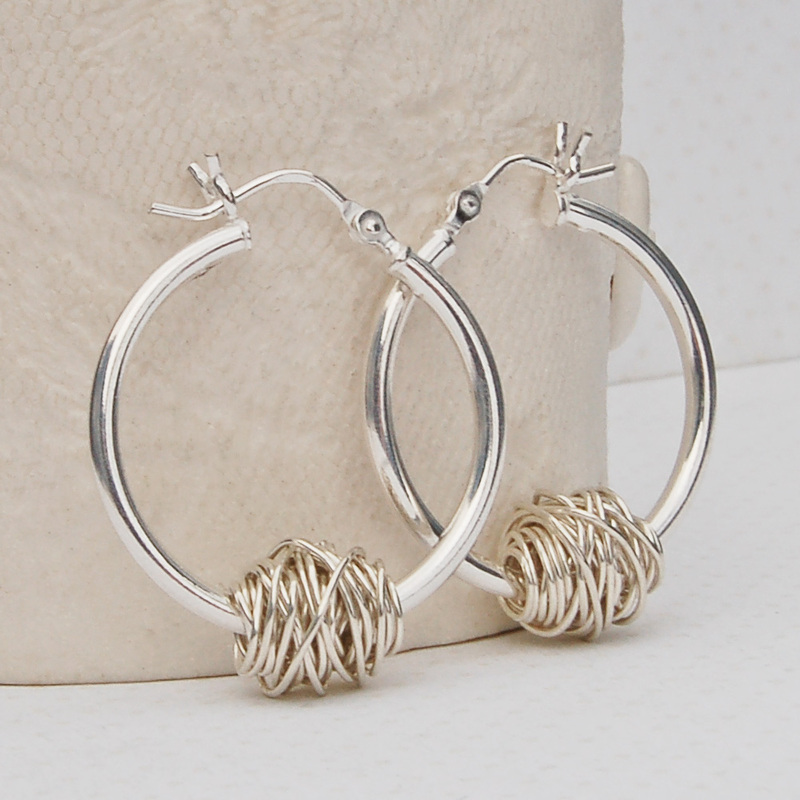 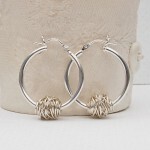 A co-ordinating pair of Silver Entwined Hoop Earrings are also available and a discount will be applied if purchasing the necklace and earrings as a set.